Did you survive the back to school scramble? 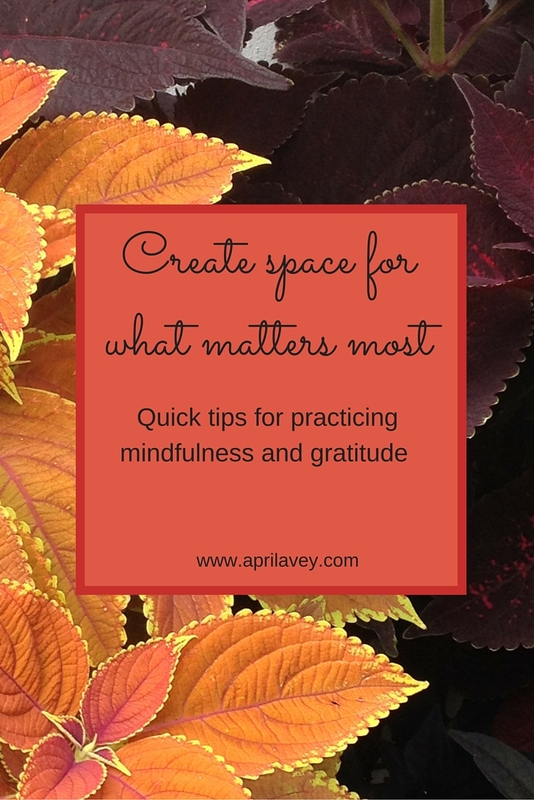 How are you doing with shifting seasons? Whether you were counting the days or clinging to every last remnant of freedom you could, summer is over and fall is officially here. I love the trappings of fall, but a resounding refrain among parents seems to be, holy crisp everything is hitting at once. Sports, music, volunteer requests, mountains of paperwork, school projects, and oh yes, your own separate list of goals you hope to accomplish while the kids are in school. And then there’s work. How do we keep it all together? I know some uber-organizers who could weigh in on this, but I want to talk about the state of our minds in relation to our schedules. It’s not just parents. I have some dear single friends who struggle with this time of year as well. Shifting seasons, particularly from summer into fall then onto winter can alter our brain chemistry. Aside from nutrition and exercise, what are your coping skills? I’m going to list a few of mine to get the ball rolling. My first novel, CHASING CURES, is complete and en route to a list of carefully prospected agents and publishers. I had some very encouraging feedback from agents and mentors at the Oregon Christian Writer’s Conference in Portland in August. Cross your fingers, say a prayer, and stay tuned to hear what happens. A prevalent question at this stage seems to be ‘what’s next?’ I’m happy to report I actually have an answer to that question.